Rationalist Judaism: Does a Person Have the Right To Choose Poverty? Rabbi Beckerman attempts to counter MK Rabbi Dov Lipman's arguments regarding giving charedim a secular education so that they can enter the workforce. He states that "people have a right to decide to be poor for the sake of some higher ideal." While that can be read as technically true, given the context it is utterly false, from the perspective of traditional and halachic Judaism. First of all, when we are talking about "poor", we are not referring to someone not being able to afford a car. The poverty that is affecting huge numbers of charedim, as described in Mishpachah and elsewhere, is abject poverty. We are talking about people who simply cannot put a roof over their heads or food on the table without financial assistance from others. Do people have a right to force the community to support them for the sake of a higher ideal such as learning Torah? Absolutely not! (Note: We are currently not discussing a situation of a voluntary agreement, but rather the case of someone who refuses to learn a trade and thus decides that others will support him.) The Gemara makes it clear that this wrong, saying that a person should flay carcasses in the market (a lowly occupation) rather than demanding charitable support from others. The Rishonim had various different opinions about the permissibility of receiving payment for teaching Torah, but they never allowed a person to simply refuse to learn a trade and to force others to support him. Rav Moshe says that since today it is regarded as permissible for rabbis and educators to receive payment, therefore a father has fulfilled his obligation to teach his son a trade by teaching him to be a rabbi/ educator. Rabbi Beckerman claims that, following this, charedim today are entitled not to teach their children any trade/education aside from being a rav/rebbe. However, this is a wholly inaccurate extrapolation. Chazal said that one should teach one’s son a trade, thereby making it likely to happen. Rav Moshe extended this to teaching your son to be a teacher, which in 1960s America, was also a reasonable profession. Furthermore, in section 11, Rav Moshe explicitly says that a father has only fulfilled his obligation if he has ensured that his son is suited to being a teacher and that he will have parnasah from it. Rabbi Beckerman wildly extrapolates this to be a license to bring up everyone to be in kollel today, where the chances of subsequently finding a paying job are minimal, as we see with our own eyes. That is not at all what Rav Moshe is discussing! When I pointed this out, Rabbi Beckerman claimed that many people with professional training are also not able to get jobs, which is hardly relevant. He also issued the absurd claim that it is just as difficult for a person with a law degree to find employment as it is for an Israeli charedi person to find employment as a teacher. This is silly not only because it is false, but also because a person with a law degree has sufficient general training to also find employment in other fields, whereas an Israeli charedi has nothing to fall back upon. The bottom line is that Chazal required a person to take steps to ensure that he does not require others to support him, and to make efforts that his children should be financially self-sufficient. Today there is a financial catastrophe in charedi society, as a direct result of charedim ignoring Chazal's dictates. Cross-Currents has many writers that are eager to condemn reformations of Judaism coming from the left; perhaps they could also condemn reformations of Judaism coming from the right. It's strange to see a Rabbi (Rabbi Beckerman) actually promoting/supporting/defending abject poverty and starvation. What about the mishnah in avos that says "כך היא דרכו של תורה פת במלך תאכל ומים במצורה תשתה ועל הארץ תישן" was it just speaking about a person before he gets married and has children? Gordo (nice nickname), there are many explanations for this mishnah. For example, the Abarbanel understood it as explaining what a real dedication to Torah does to a person. It transforms the student into one who is above physical desires. This insight shows that Torah does not demand such abstention from a person; rather, it propels him beyond a dependence on physicality. It's a warning, not a license. If you want to learn Torah, realize you're going to be broke. And if it were a recommendation, then by what right would a kollelnik make demands of the state for support? After all, he is SUPPOSED to be broke! But it's not. Recall that the gemara ends the debate about full time learning vs having a job by saying that many followed Rashbi (full time learning) and it failed. Kollel is good for the exceptional few, not as a communal lifestyle. And this was taken as the final word on the subject until the 20th cent. The Yishuv haYashan went to Israel in the 19th cent as Europe's exceptional few. There were landschaffen across Europe to support the family or two their area merited to send to Israel. The entire idea of going to Israel meant most of them lacked job skills (other than teaching Torah) for their new venue. And that should have changed when Israeli chareidim became a community detached from the killing fields of Europe. But it didn't. One of the 20th century's distortions of Judaism. There is a reason why the Chazon Ish coined Po'alei Agudah's "Torah vaAvodah." (Although I doubt he'd be happy that it now survives in the hands of Bnei Akiva.) The CI saw that the new yishuv required a combination of Torah and work. Another distortion of classical Judaism caused by chareidim responding to the reality of the prior generation rather than the one their in was in taking the self-ghettoization strategy of avoiding assimilation from Europe, where the outside culture was constructed by non-Jews, to Israel, where such a strategy means separating from other Jews. And of course the biggest distortion, although it's universal across all Orthodox communities today, was the shift from pursuing ehrlachkeit to being frum. In response to your title, can one choose poverty, its is most likely assur (perhaps on a Torah level) to choose to be poor and rely on others. Using a typical CC technique, Beckerman closed the comments only a day after posting because he couldn't "keep it up" responding to the negative comments. As you continue to point out, choosing poverty is a recent innovation and has no basis in Jewish tradition. People indeed have the right to choose for themselves a lifetime of learning in poverty, but they have NO right to churn out children who will almost certainly face a life of destitution because the parents desire it. It is ABUSE, plain and simple, no different from physical or emotional abuse. And of course they have no right to DEMAND financial support from others. cc is pretty spineless when it comes to comments -- someone techie maybe could do a mirror site, which would permit comments? Is that legal? Chana- yes those do describe you well. Beyond financial self-sufficiency, Judaism requires that each of us be in a position to fulfill the mitzvah of Tzedakah as part of tikkun olam. As one right-of-center Orthodox friend reminded me, someone who makes a conscious choice to be poor – ie not pursuing any practical livelihood – is also making the choice to be consistently or at least primarily on the receiving end of Tzedakah. How can this be derech eretz? How would Rabbi Beckerman respond? 1. "Judaism requires that each of us be in a position to fulfill the mitzvah of Tzedakah as part of tikkun olam"
2. "How can this be derech eretz?" It isn't Derech Eretz. So what? "If only the people who lived in the generation of the Flood and the people of Sodom had given tzedakah, they would not have perished" – Midrash Zutta, Song of Songs 1. "Great is tzedakah, for since the day that the world was created until this day the world stands upon tzedakah" – Midrash Tanna d'Vei Eliyahu Zutta 1. This is a direct result of the welfare state. A person is much more loath to force his local community to support him because he knows the people supporting him and they know him, which makes for an uncomfortable situation. When you have an impersonal welfare state, all the uncomfortableness, embarassment, and stigma disappears. Concerning your basic point, I agree with you 100%. A generous welfare state is mandated by the Torah and Chazal. There is a generous system of charity collection and distribution described in the last chapter of Masechte Peah; Rambam codifies it as binding halachah in Hilchot Matanot Aniyim and says that he has never heard of a Jewish community that did not have such a system. This system would not work today because under this system, each community is required to support its own poor. But in some charedi communities, everyone is poor. A surprisingly similar system was implemented in England and Wales in 1601 under Queen Elizabeth I and it would be eventually expanded to all the English colonies in America. (One of George Washington's roles as parish warden prior to America's War of Independence was to act as the administrator for the poor funds.) Adam Smith would criticize the system because it limited the mobility of the labor force by discouraging the poor from giving up their welfare to move to areas where there were available jobs. And in the early 19th century the poor relief burden in many communities drove even previously well-off individuals into poverty. In part as the result of this and similar issues, in both the UK and America the former community-based support of the poor were eventually replaced by (less generous) regional and national systems in order to coerce people to work. A marei makom for Rabbi Beckerman - 'Blessed be ye poor, for yours is the kingdom of heaven ' - Luke 6:20. Shame there is no Jewish equivalent. To quote marc shapiro -Nedarim 81a tells us not to neglect the children of the poor, for the Torah goes out from them. If you examine the commentaries on this passage you will certainly find those who point out that it is easier for a poor person to study Torah, as he does not have the same attachment to the material world as does the wealthy man, and it is this attachment that prevents one from focusing on Torah. I read these sources as designed to be encouraging. In other words, they are ex post facto judgments of the positive that can be found in poverty, so that people in this unfortunate state don’t think that all is lost. Actually, I believe this Adopt-A-Kollel idea is a good first step. Since I don't believe it is possible to change their community's values, we should at least get the message across that the Israeli taxpayer is no longer going to subsidize all people who say they want to be in kollel, and it should be like colleges where there is accreditation and acceptance criteria. (I believe that most Israelis are willing to subsidize a limited number of kollel people just as they subsidize students in the humanities in the universities). The second step is to develop programs to try to keep embittered ex-Haredim within the Torah/Mitzvot fold and not see them become angry anti-religious people as was so common in the 19th century up to the Second World War. As I wrote before, I believe that the view of most non-Hasidic leaders is that the possibility of large-scale drop-out phenomenon is the price they are willing to pay in order to keep what they view as their pure education system, which is designed to turn out an elite of talmidei hachamim. The drop-outs are the unfortunate but necessary "collateral damage" from their education philosophy, as they see it. In other words , it seems that it is less important to have as many religiously observant Jews as possible than it is to have as large a scholarly elite as possible in their view. A good first step towards what? Adopt-A-Kollel makes no sense. It makes much more sense to provide funds for job training than additional funds for more kollels, when in fact there need to be less kollels. As the old saying goes, if you find yourself in a hole, the first step is to stop digging. Adopt-A-Kollel is giving the guy in the hole a shiny new shovel. The proper way to handle this is to not give them a choice about reforming their education system. Pass legislation indicating that starting one year from today, any school that does not provide an adequate secular education (with oversight) gets zero government funding. Not one red cent. Why are people in the US any less deserving of respect than "the israeli taxpayer?" Adopt a kollel is being indoctrinated as some kind of magic savior but it does not solve anything. We are talking about an unsustainable system. The poverty was already unbearable before they decreased the measly stipends. I think your mistake is in assuming that before Lapid, everything was fine (assuming taxpayers didn't care, let's say). It wasn't fine. Minor quibble: From stuff I've heard, it is very hard for law school grads to find a position in that field. IN the 90s new schools were opened up and the field is flooded. Yes, someone who graduates from Hebrew U Law School will probably do fine. The same isn't true about someone who gets a degree from one of the colleges.
" it is very hard for law school grads to find a position in that field"
IN THAT FIELD. But they have a much better chance of finding some sort of employment than a guy who has been his yeshivah his whole life and doesn't even know math or English! If 100% of DL parents had their kids become lawyers, yes, that would be a problem too. I say this as a lawyer (and Naftali Bennett raised some hackles when he said the same thing, until the head of the Bar Association agreed with him): Maybe there *are* too many lawyers out there. But you know what? If Israel needs, say, 2% of its population to be lawyers and, say, 4% are getting the education, yes, that's a big problem. But that still means that 96% of non-charedi Israelis are getting all sorts of other jobs. But you know what a bigger problem is? Every single charedi (male) kid being trained to be a rebbe or a rav (or a mohel or mashgiach or chazzan). The charedi world- or even Israel as a whole, or even world Jewry as a whole- cannot employ that many klei kodesh (and, of course, many non-charedim go into those fields as well). The analogy simply doesn't hold. The MO/DT world has its own problems such as low levels of tznius in many places, too much media in the home, school age kids dating, feminism. Those can be bigger dangers than the ones you see in the Charedi world. Those are real concerns. Is your point that thiese concerns somehow mitigate the issue being discussed here? Do you mean that not all DL people live up to the standards that it is supposed to have? That is human nature and the yetzer hara. But who says Haredim don't have the same problem? The difference is that it is hidden in their community where there is much more emphasis on SEEMING to be super-frum...with more emphasis on wearing a specific uniform and talking in a certain way. More concern about "what will the neighbors think?". DL Rabbanim and leaders speak quite openly about the problem. The Haredim won't officially admit it even exists in their community. Another consideration is what happens to DL and Haredi youth that go off the derech? We all know DL kids that this happens to. They generally go the IDF, go to college, get jobs, get married and, studies have shown, maintained some sort of connection with Jewish observance I once read that OTD DL"s tend to marry one another and set up their own communities, although I don't have any statistics. It would be interesting to know what happens to Haredi youth in this situation although I would venture to guess that there is a lot more out-and-out antireliigous feeling among them. At least they aren't denying these problems. I haven't seen any blog posts glorifying these shortcomings. I think the perception that reforms on the right are less dangerous than reforms on the left is the tragic misconception that has brought us to this point. MO/DL send their kids to right wing schools because they make that assumption. The truth is and always has been that the middle path (as difficult as that is to define) is what everyone should be striving for. 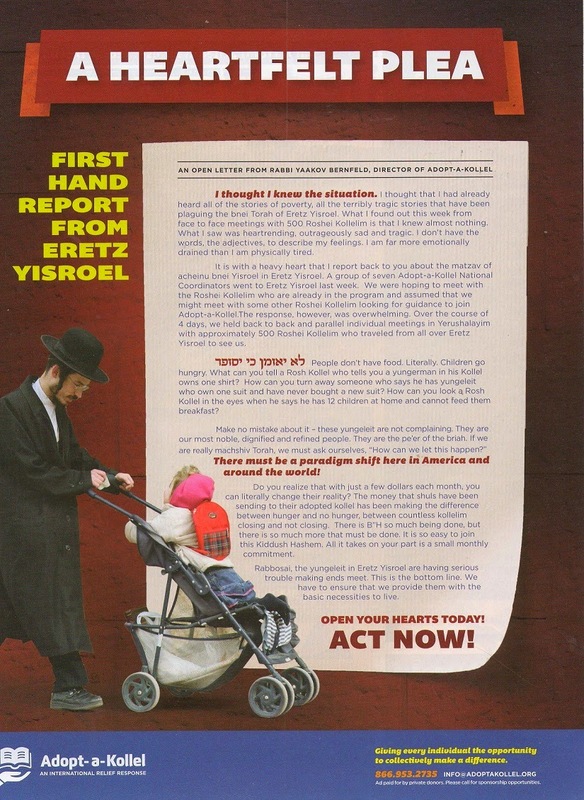 Yisrael, why is it worse for some leftists to disregard Chazal where they say we don't send women to read from the Torah because of Kavod Hatzibur than for the Israel Chareidi community to live in poverty, strain the Jewish community for support, bringing resentment upon themselves and on Torah itself from secular Israeli society and generally create a chillul Hashem (as described by Rambam in Hilchot Talmud Torah) because they have chosen to disregard the multiple admonishments of Chazal that one must work and teach their sons a trade? Feminism is what made today's charedi world possible, as it allows women to make adequate incomes to support their large families headed by a full-time learner. > The MO/DT world has its own problems such as low levels of tznius in many places, too much media in the home, school age kids dating, feminism. Those aren't real problems, their only problems to someone who comes from a culture that teaches that those things are problems. No one has ever died because of a woman's uncovered elbow (Charedi propaganda notwithstanding). People die when they don't have enough to eat. Thankfully there are generous people who keep it from getting to that point in Chareidi communities, but not having enough money to but food is a real problem. Some people believe that Judaism is more important than food. That you don't agree doesn't change that. R' Slifkin posted about the problem of abject poverty in Chareidi communities, and Yisrael countered that MO communities also have problems, " such as low levels of tznius in many places, too much media in the home, school age kids dating, feminism." The thing is, while everyone agrees that starving is a problem, only Chareidim (and other religious fundamentalists) think that the things he listed are a problem. This seems to be a common thing with Chareidim. They think that their values are objectively valid, and therefore everyone should agree with those values. So they think that learning and working are of equal value (or really, learning is of greater value), and they are justified in expecting money, which everyone agrees has value, for their learning, which only they think has value. And, apparently, Yisrael thinks that not having enough food, which everyone agrees is a problem, is on par with things like bared elbows and high-school kids dating, which only Chareidim think are problems. Incidentally, none of the things Yisrael is complaining about are incompatible with Judaism, or even with Orthodox Judaism. Only with Chareidi Judaism. He hasn't gotten any better. One can choose to live in a tent and eat Dandelion salad every day. One can only choose to live off others if those others enable them to do so. In fairness to the Chareidim, there is pervasive discrimination in the general Israeli job market (http://www.themarker.com/career/1.2405472) and the Chareidi professional and business infrastructure that exists in other countries does not exist here. This obviously discourages Chareidim from trying and maybe losing both sides. Hopefully in time this will abate but meanwhile there has to be a great deal of jawboning. It might even be in order for radio personalities to phone discriminators and ask them about it on live broadcasts. 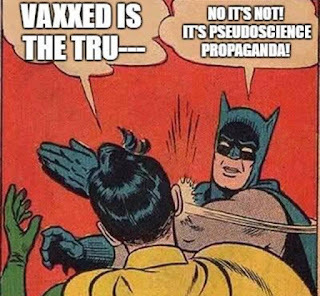 I have heard this claim but I find it hard to believe. Why would employers not hire Haredi men? Haredi women are a different story because of possiby legitimate concerns about frequent pregnancies, but I think employers would jump at the chance to hire Haredi men workers, just as they like to hire DL workers who are also more disciplined. Blacks in America faced, and to some extent, still face such problems. That hasn't stopped a significant percentage of them from trying to get educated and employed. You can't fix prejudice by giving in and accepting it. It should be pointed out that even charity is "voluntary." What keeps charedim in their lifestyle is not charity but government largesse, which at its base is always coercive- as conservatives like to point out, sooner or later, at some point in the equation a man with a gun shows up at your door. So no, it's not a choice. Does a person have a right to choose poverty? For himself, sure. But for his kids? And yet this idea is actually considered HEROIC. Two weeks ago I attended a fifth grade gemara party in Baltimore. When it was time for the speeches, the principal told the story of a certain renowned rav. When he was a child, his father's job was the installation of heating systems. The father ensured that his son would have a private tutor so he could become great in Torah. The only problem was that the children in the family froze, because they had no heater in their house at all and truly suffered. Turns out that the father disassembled their heater and installed it in the house of the melamed, in exchange for his tutoring, and this is what allowed the boy to grow into a great rav. Am I the only one who is appalled by this story, on so many levels? First and most basic, why is it that children are raised with the idea of "Ol HaTorah " - the yoke of torah, instead of simchas hatorah? The concept of "it's hard to be a yid" instead of the joy of being jewish? One can say that these stories of sacrifice are only for the madrega of tzadikim, yet the boys are being told to model this behavior. And what right do parents have to voluntarily inflict their children with suffering/poverty? (And especially in that time, when the lack of heat could result in illnesses or even death) Yet again and again, poverty is glorified, suffering for Torah is glorified, and the idea that this suffering as a means to tzidkus is within their grasp is stressed constantly. “One who eats from his friend’s food is ashamed to look at him” (JT, Orlah 1:5, 61b). “Before souls come to the world, they resemble one who eats the bread of the King without serving Him…. Souls feel ashamed to eat the bread of the King without serving Him, and therefore they yearn to come to the world…. so as to leave that shame; they seek to come to his world, to engage in Torah and mitsvot…. so that they may eat bread without shame” (Rabbi Joseph Karo, Maggid Meisharim, Bereshit). Is it not to share your bread with the hungry? What is פָרֹס [paros] to share? לְמִפְרַס [Le-miphras] to spread, a tablecloth with bread and food to eat. Alternatively, Is it not פָרֹס [paros] to share?—as is said: פְּרֵס פְּרִיסַת [Pereis perisat], פְּרֵס [Pereis]—has been divided [Daniel 5:28], for one should לְמִפְרַס פְּרִיסִין [le-miphras perisin] break pieces, of bread before him so that he will not feel ashamed, and one should break it before him generously” (Zohar 2:198a). “A person should not embolden himself to say: ‘The blessed Holy One will save me,’ or ‘He will do this for me.’ Rather, he should place his strength in the blessed Holy One, to help him fulfill the commandments of Torah and walk in the way of truth, for as “Happysoon as one comes to purify himself, he is certainly assisted [cf. BT Shabbat 104a]. So should one fortify himself in the blessed Holy One – in order that He may help him – holding fast to Him, not placing his strength in another. So, whose strength is in You [Psalms 84:5]” (Zohar 1:142a).